KARACHI: People of the metropolis may have to endure a heatwave on Saturday and Sunday, Met Office said on Thursday. 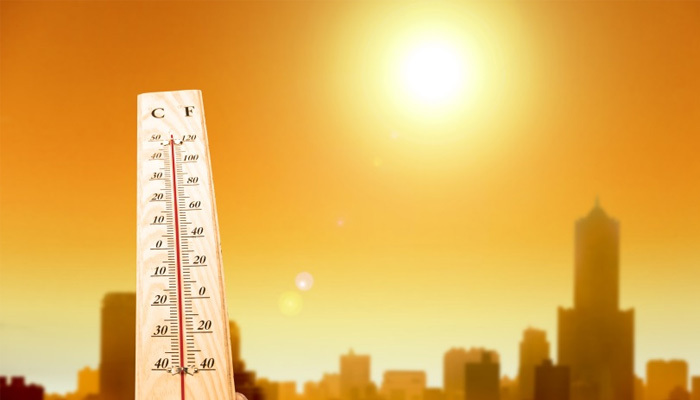 The Met office has forecast extremely hot weather for Saturday as sea breeze is expected to stop blowing in the city, causing the mercury to soar. The weather in the city is also expected to remain hot next week. "Rain-thundershower with gusty winds is expected at isolated places in upper Khyber-Pakhtunkhwa, FATA, Islamabad, upper Punjab (Rawalpindi, Gujranwala, Lahore, Sargodha, Faisalabad divisions), Gilgit-Baltistan and Kashmir," said the Met Office. "Hot and dry weather is expected elsewhere in the country". Hot weather coupled with power outages in the holy month of Ramzan is expected to add to the miseries of the citizens whom the doctors have advised to stay indoors to avoid heat stroke . Health experts have asked the citizens to refrain from consuming oily and spicy foods during Iftar.